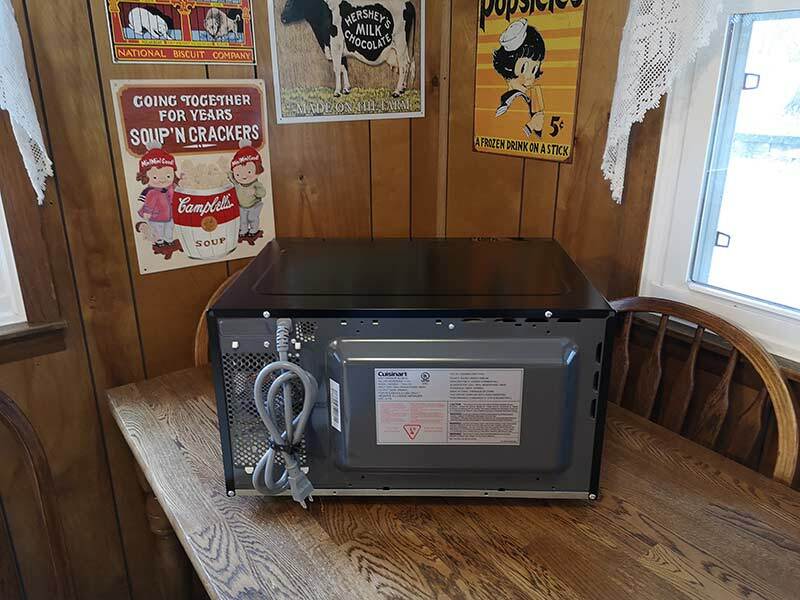 REVIEW – When it comes to a microwave, you might think there’s nothing very tech/gadgeteer worthy about them. 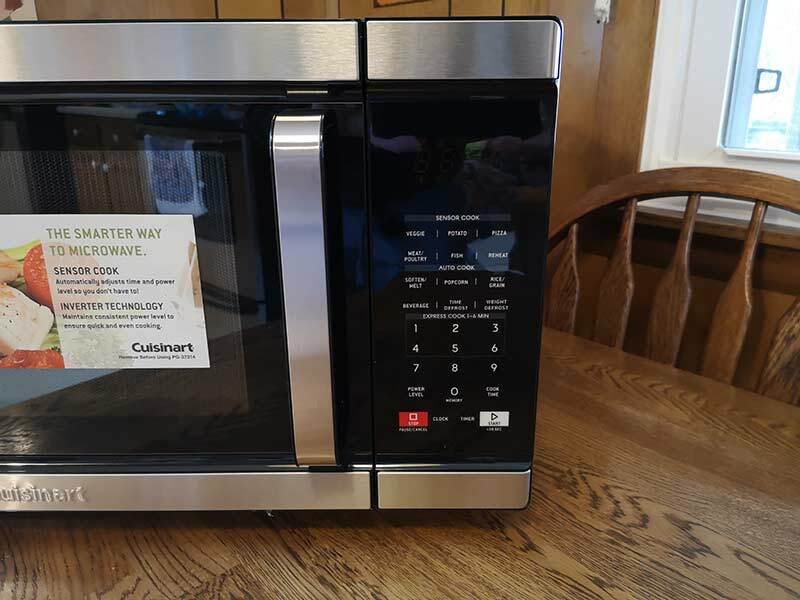 But the CMW-110 microwave from Cuisinart has a couple of features that might change your mind. Let’s take a look. 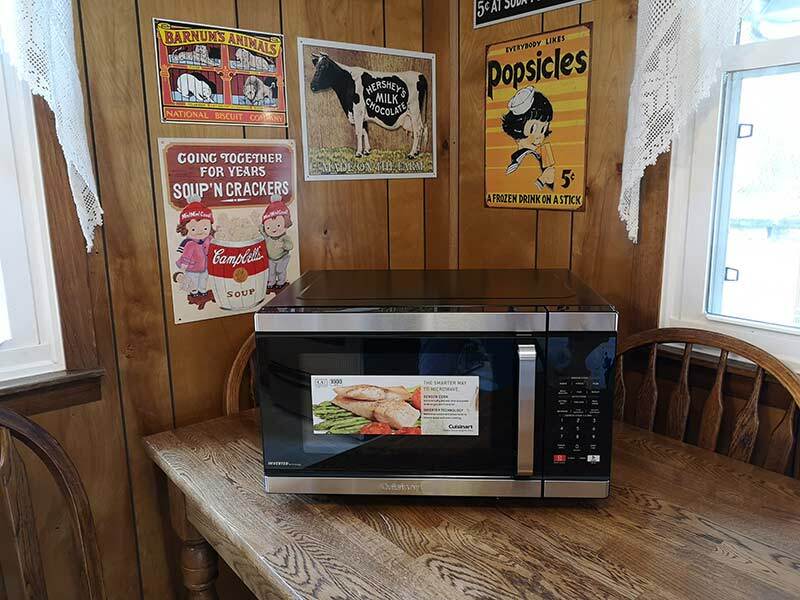 The CMW-110 microwave from Cuisinart looks and performs like a traditional microwave, but it offers a few extra features that make it a better choice than a cheap alternative from Walmart and other big box stores. 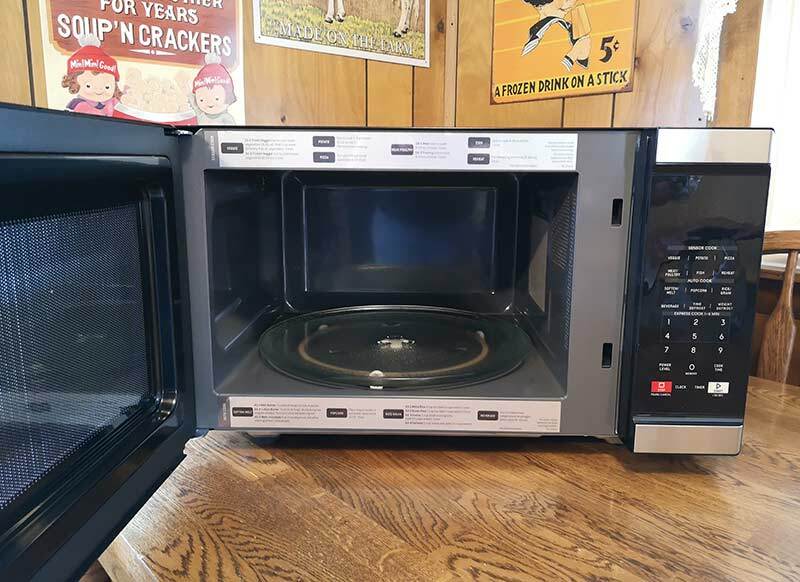 The Cuisinart CMW-110 microwave oven is a nice looking microwave that has a mainly black metal exterior with some stainless steel accents on the door’s edges and the handle. This microwave doesn’t have a push button to open the door which I think is preferable they can break like my last Sharp microwave did. The interior of the CMW-110 is grey, unlike white which all the microwaves I’ve used in the past were. The darker color makes it more difficult to see the foods while they are cooking and also makes it harder to clean up because you can’t see food splatters as easily. Although the interior of this microwave oven is a bit dark, the Cuisinart’s display is the opposite. It’s so bright that it lights up my bedroom which about 25 feet down the hall from the kitchen. I’m considering getting some dark film to put over the display to cut down the brightness. 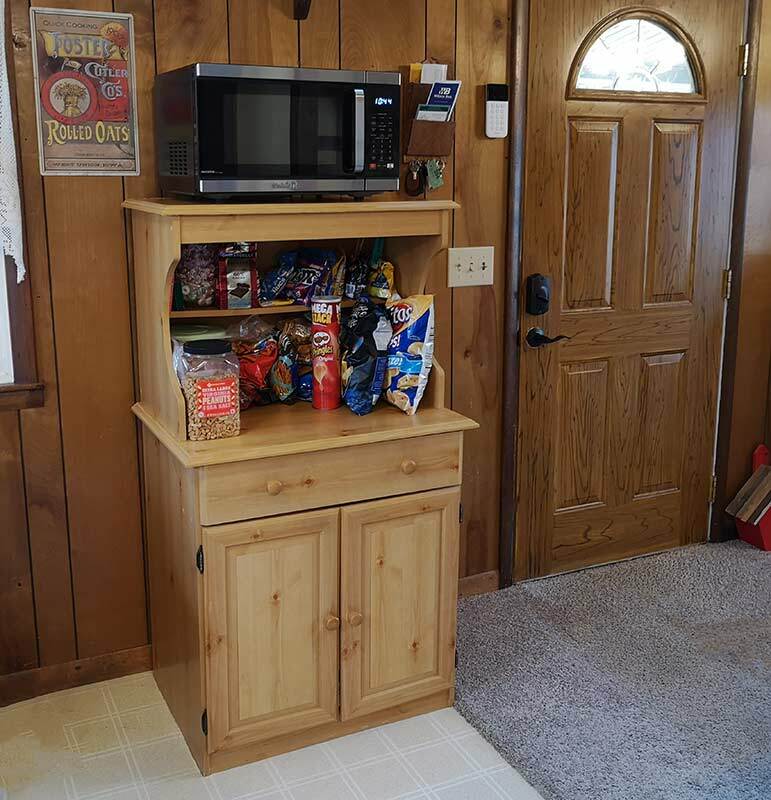 Depending on where you plan to place the microwave, you may need a special extension for the power cord. Most microwaves cycle power on and off to adjust for the power level setting. The CMW-110 uses inverter technology delivers a steady stream of power at the level you specify. This helps foods cook more evenly so you don’t have overcooked edges like while defrosting. The CMW-110’s sensor cooking feature measures the oven temps and humidity level which changes with the moisture of foods as they cook. The sensor’s in the microwave adjust the time and temperature for quicker and even cooking of certain foods which include: veggies, potatoes, pizza, meat/poultry, fish, and reheating leftovers. The Auto Cook feature allows you to cook popular foods like soften/melt, popcorn, rice/grain, and beverage. The Cuisinart CMW-110 microwave has 3 memory functions that will let you save your frequently used procedures. This is helpful if you often use the two-stage cooking feature. But be aware that if there is a power outage or you unplug the microwave, the memory will be reset. Two-stage cooking lets you program the microwave to automatically switch from one function to another. For example, you can begin cooking food at an 80% power level for 4 minutes and then switch to cook at a 60% level for an additional 2 minutes. I’m hungry, let’s nuke something! 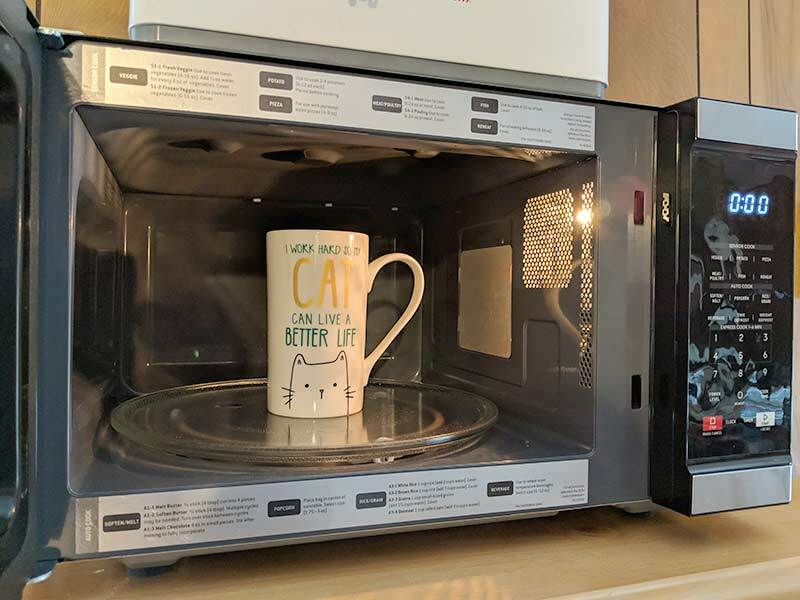 I tested all the features that the CMW-110 has to offer and I’m happy to say that I have been enjoying cooking and reheating my favorite foods with this microwave. My favorite features are the 2 stage cooking feature and sensor cooking. I use the two-stage cooking feature to cook steel cut oats which first has to come to a boil and then has to cook on a lower power setting for another 5-6 minutes. The sensor cooking has worked great for reheating leftover pizza and reheating other leftover foods that usually turn out with the texture of cardboard when I’ve tried reheating them with my old microwave. I think the Cuisinart CMW-110 microwave oven with sensor cook & inverter technology is the perfect choice for someone who doesn’t need a huge microwave. The CMW-110 may be small but the inverter and sensor cooking features along with two-stage cooking and memory settings make it one of my favorite kitchen gadgets so far this year.